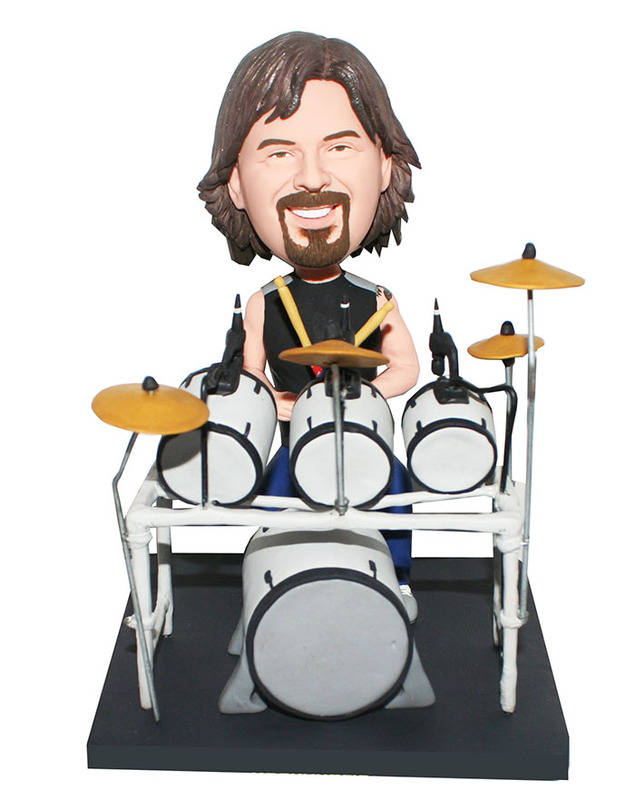 Seated behind full drum set including forward facing bass drum, multiple snare drums on stands and multiple brass/gold colored cymbals;holding drum sticks-small red area at bottom of left stick and small dark blue area at bottom of right stick,this custom bobblehead is a drumer. And Yes, our artists can pay more attention to every intricate details and make the more satisfied commemorative bobblehead for you.Do you have a pal who are keen in music or youself is a drummer, then go ahead to make a drumer bobblehead to your best friend or you. It could also be a souvenir that worth to be kept for a life time. This is the very first bobblehead I've purchased and I was very pleased with the quality. The paint job is fantastic.